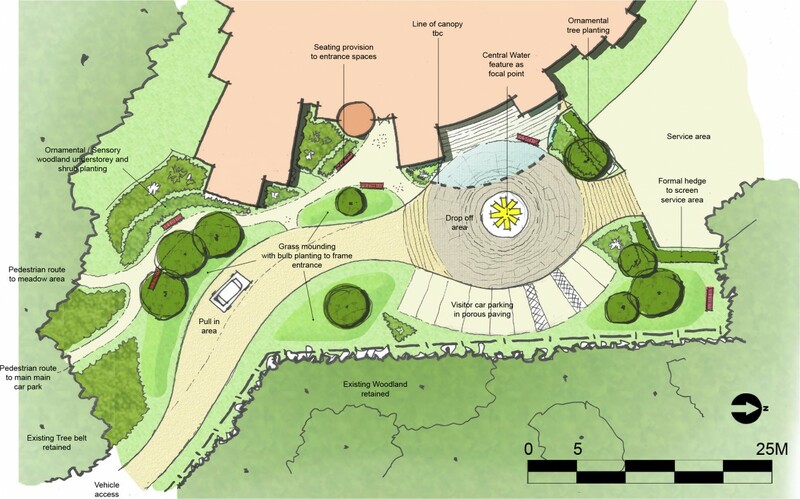 Stroods Construction Ltd appointed Influence to lead the planning application for improvements to both the main entrance and landscape at a children’s hospice in Thundersley, Essex. We worked closely with hospice staff to gain a full understanding of their unique requirements, shaping an environment that will encourage residents and staff to interact with the landscape while providing respite and peace of mind. Focusing on the character of the ancient woodland and nature reserve that wrap around the site, our design created a series of sculptural landforms (formed by retaining on-site spoil). As well as defining key views, the landforms revealed clearings that are ideal for informal play. This organic approach extends to a planting concept with seasonal bulbs and woodland edge planting. Meanwhile, open woodland areas encourage a sense of fun and freedom for residents and their families. 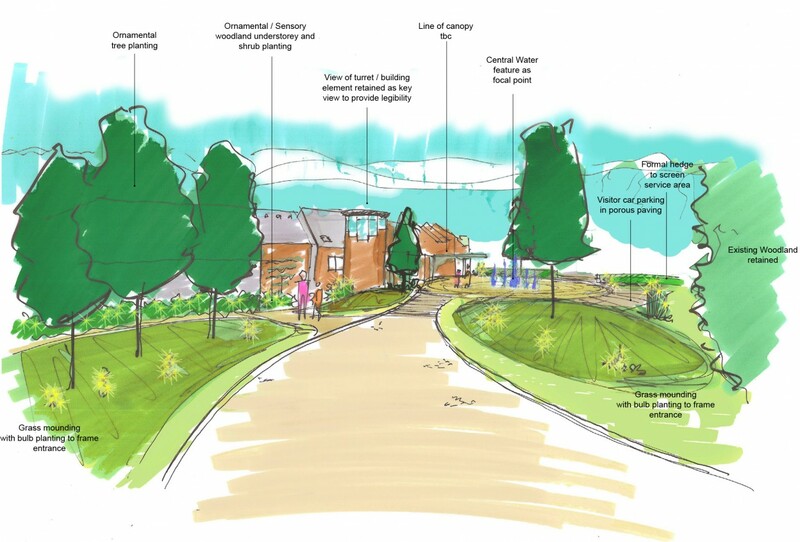 Developed with the Essex Wildlife Trust (who manage the site), our planting strategy uses a dynamic mix of native and non-native sensory plants that will attract wildlife while providing colour, scent, food and texture.